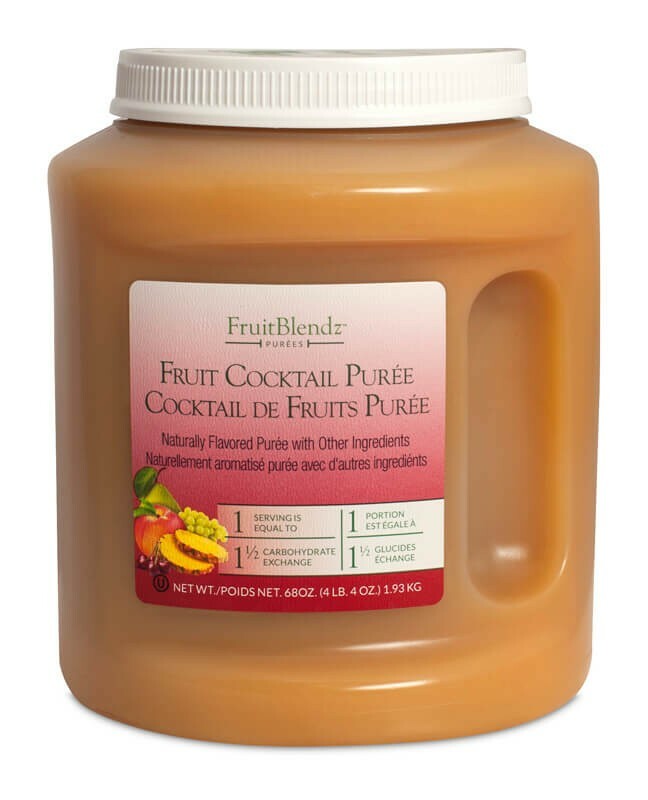 Inspired by classic Apple Sauce, our Fruitblendz line takes other fresh whole fruits and blends them into a delicious puree for you. 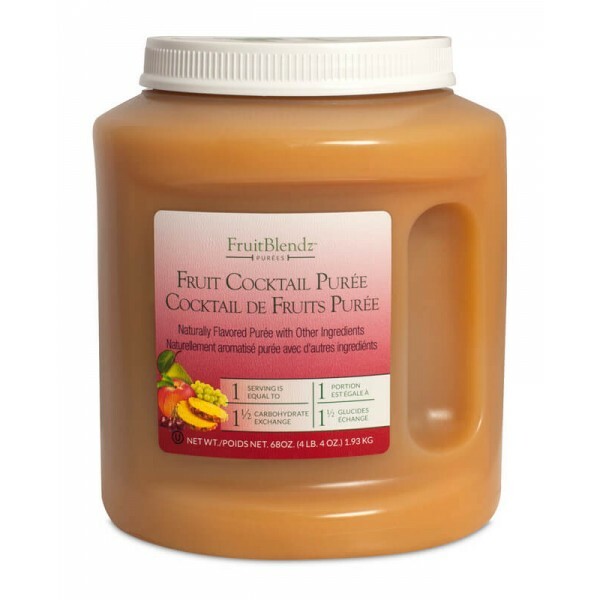 Fruit Cocktail Sauce by FruitBlendz has a light mix of tropical pineapple, sweet grape, crisp apple, and other natural flavors. The smooth and consistent texture safely satisfies nutritionally-regulated and texture-modified diets. Serve alone, or use as part of your favorite recipes! 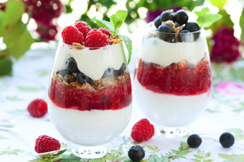 Prepare pudding and topping according to package directions.Layer 1/4 cup pudding and fruit in parfait glass, using a #16 scoop. Garnish with 2 tablespoons of whipped topping. Add layer of graham cracker or cookie crumbs, if desired. Combine fruit sauce and pudding and portion 1/2 cup into serving dish or tart shell using a #8 scoop. Note:28-oz. pkg. 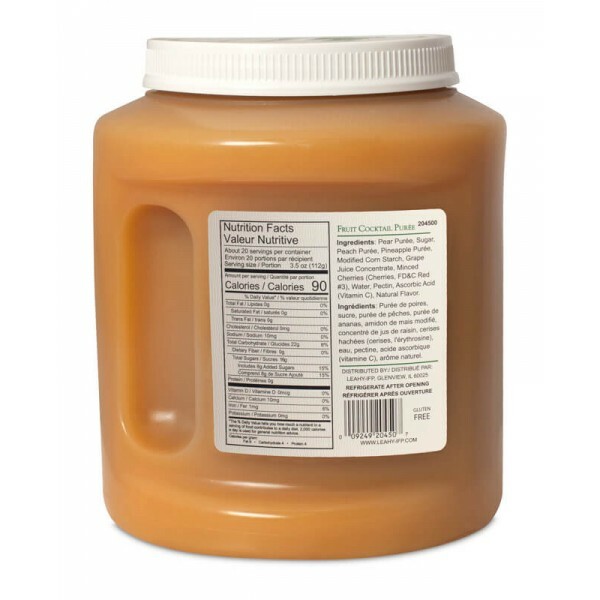 of instant sugar sweetened pudding mix (16 cups prepared pudding) can be used. 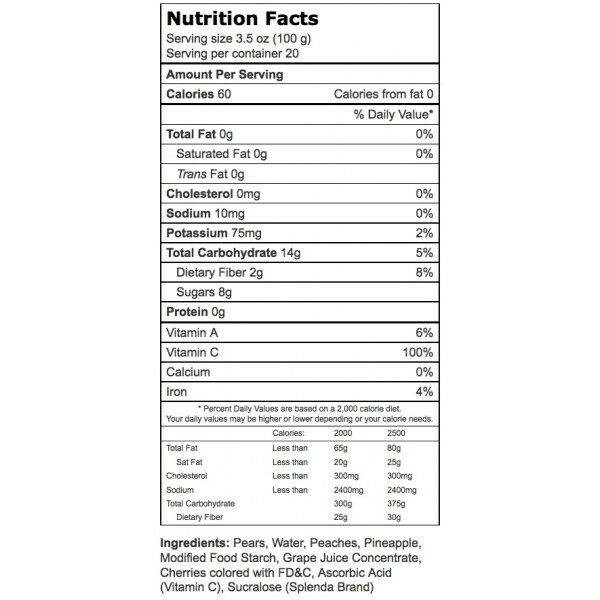 Holiday Parfait: Substitute Pineapple Sauce for the Fruit Cocktail Sauce. Using food coloring, make the fruit sauce red and the pudding green. Prepare as above. Garnish tops with crushed peppermint candies.